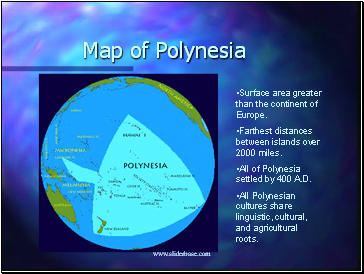 Surface area greater than the continent of Europe. 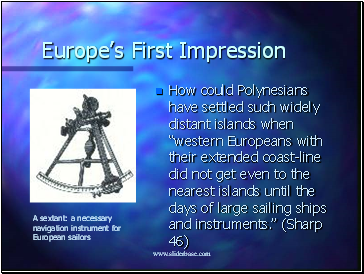 Farthest distances between islands over 2000 miles. 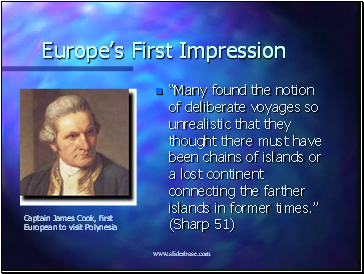 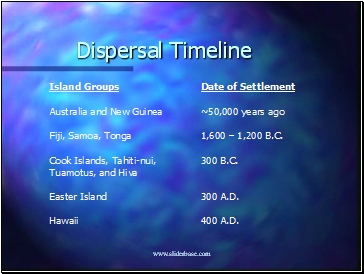 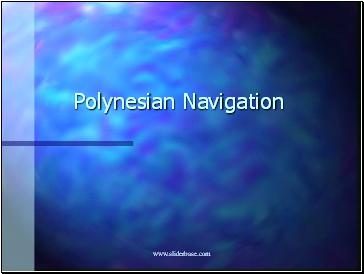 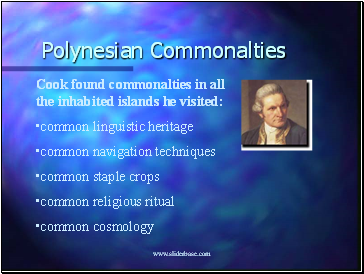 All of Polynesia settled by 400 A.D.
All Polynesian cultures share linguistic, cultural, and agricultural roots. 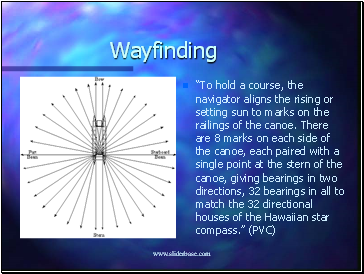 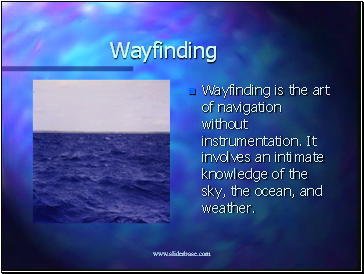 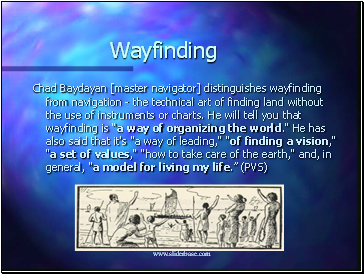 Wayfinding is the art of navigation without instrumentation. 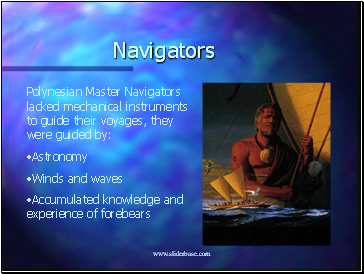 It involves an intimate knowledge of the sky, the ocean, and weather.